Hanwedige Nirmal Chirasri Peiris, MA (Cantab), passed away suddenly on 5th January 2014 at the age of eighty two (82) years. This is a son’s tribute to an exceptional father, a remarkable human being and a committed Christian, written in the format of a letter, from a son to his father. Now that you are with our Lord Jesus and my mother, I just want to publicly say thank you for the forty five years in which you were my inspiration and role model. Words can never express, who you were to me, especially for many years after ammi’s death, you were both father and mother. Thank you for taking such good care of me. Thank you especially for investing your whole life for your family in such an unselfish way. When our Lord called you home, earlier than we expected, but after eight two full and healthy years, who can complain. You certainly hold the record in our family for never being hospitalized prior to your final night. Your life was also a tribute to the love, faith and prayers of Ammi, in your all too brief time together on earth. I am thankful to God that he gave you wisdom and such a rich and varied life, which took you through the classrooms of Royal College, where your grandsons now follow you, through the hallowed portals of Selwyn College, Cambridge, a teaching stint at Kingswood College, government service, diplomacy at the UN and planting on your own estates, at all times as service unto our Lord. Above all, you were a full time single parent and best friend to me. You showed me by example that serving Christ begins and is anchored in the Christian home. 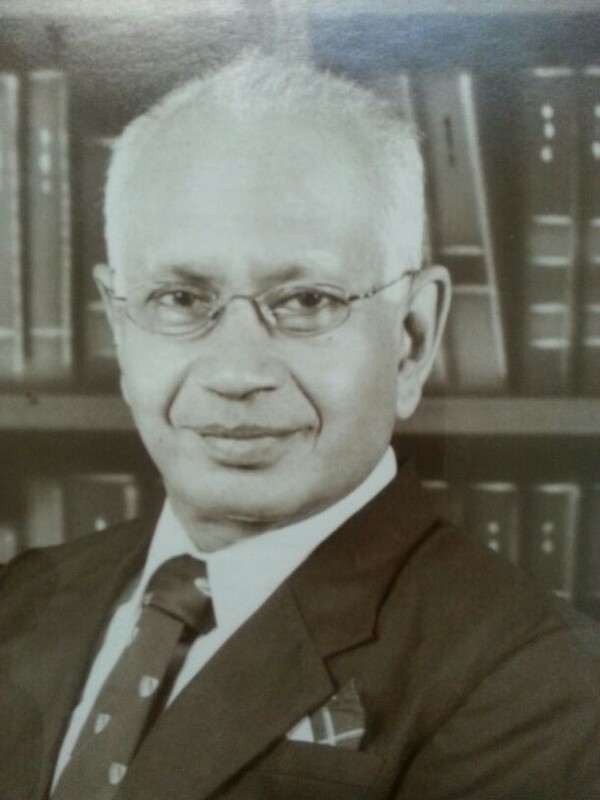 As the son of Watson Peiris and the nephew of Metropolitan Bishop Lakdasa De Mel, you were heir to a rich heritage of Christian service in both the Anglican and Methodist traditions, which calling was refined and developed in the Pentecostal traditions of the Assemblies of God, which you passed on to our family, for which we are eternally grateful. Thank you for all our wonderful years together, for walking beside me from childhood school days through work and home. Every day, though often taken for granted, was always special. Whether simple evenings just chatting, which you loved or doing various things together, family occasions, get togethers or trips. You were more than any son could dream, wish or hope for and God’s special gift and grace to our whole family. We built our lives around you, as indeed you did around us, not just personally, but also around the values you lived out daily. I loved you dearly in life, admired you greatly and will always miss you. I look forward to seeing you again in glory. Bye Dada! Till we meet again on that beautiful shore. By Harim Peiris, together with Radhisha Peiris, Nivneth and Harsith, Thindhika and Jagath Navaratne, Tarea and Tarena. This entry was posted on February 10, 2014 at 4:27 pm	and is filed under Uncategorized. You can follow any responses to this entry through the RSS 2.0 feed. You can leave a response, or trackback from your own site.